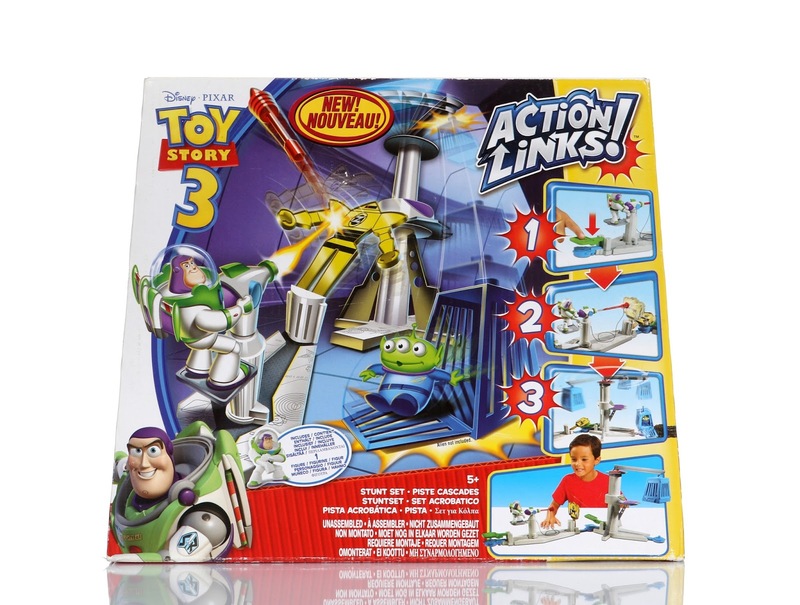 Who remembers the Toy Story "Buddy Pack" figures and "Action Links!" playsets from 2010? The line debuted right around the theatrical release of Toy Story 3 and continued on [here and there] for a few years after. It was (and still is) one of my favorite collections! I went nuts trying to get every last playset and buddy figure with all those single packs, 2-packs, multipacks and vehicle sets, yet it was so much fun. You can see a full overview of the line (with additional links to all my related posts) right HERE in my original Buddy Packs post! The "Action Links!" 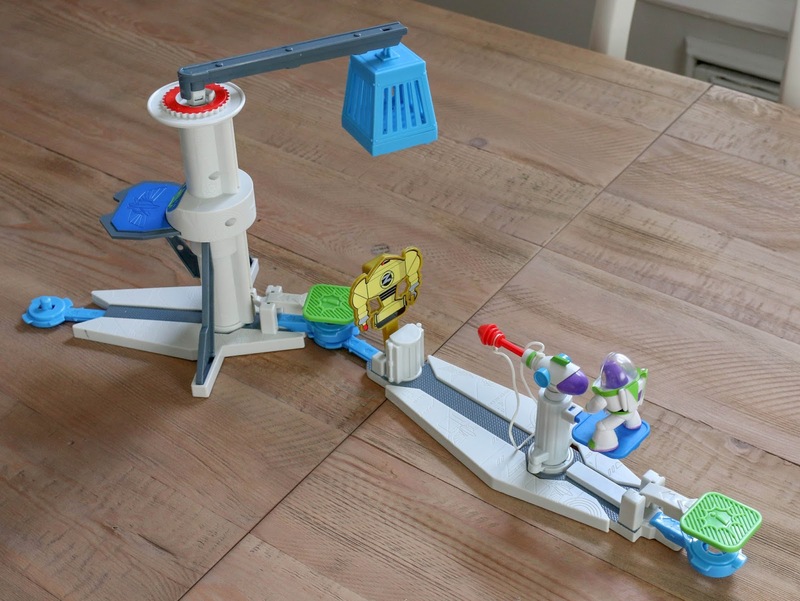 sets are essentially chain reaction style playsets for use with the Buddy Pack figures (recreating key scenes from all three Toy Story films). The more of the sets you have, the more fun they are. 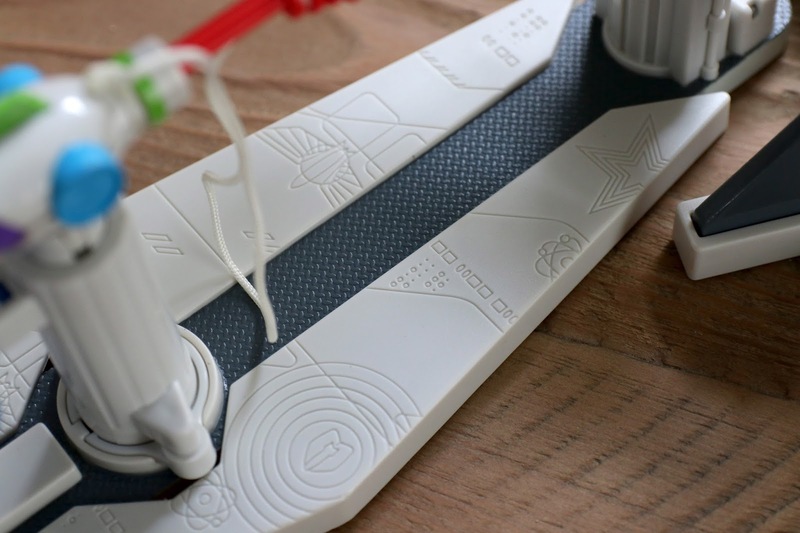 All of them interconnect, or "link" together (with limitless combinations), to form a giant chain reaction. 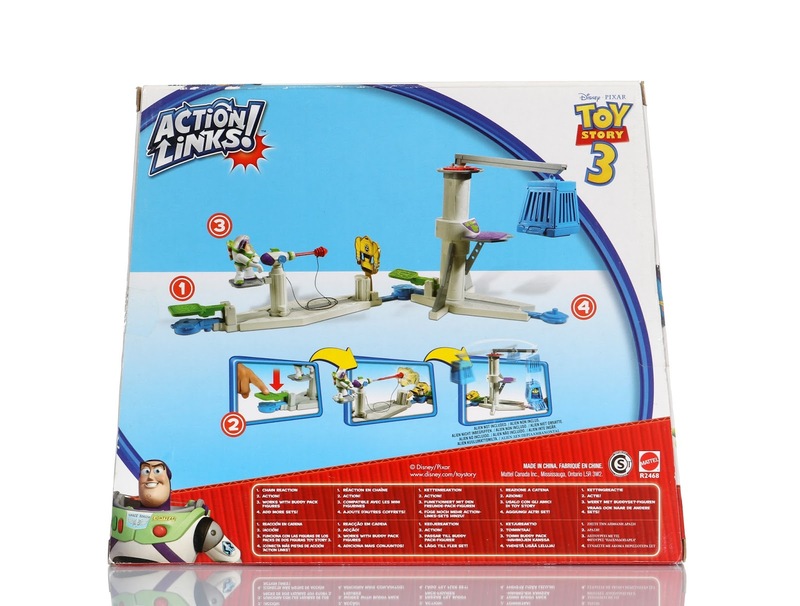 Once assembled, activate the motion on one and watch as each playset goes through its "action" (hence the name "Action Links"). Think dominoes! You can see every single "Action Links!" set in my post HERE from years ago—I even have a video there of them in action so you can see exactly what I'm talking about. The only playset I didn't get at the time was this Walmart exclusive Space Ranger Training Center, since I don't usually collect things that are "made up" or not canon to the films. However, I recently saw it pop up on eBay and decided to go for it. I figured it's still super fun even though it's technically not from any of the films (it's kind of close to Buzz Lightyear of Star Command though); and since it's incredibly rare, I didn't want to regret not completing the whole collection. It was my chance! I was able to snag this a couple months ago for $30 and free shipping—new in box. The only catch is that it came from Canada, so you'll notice the packaging is actually international. In fact, this box doesn't even have the title "Space Ranger Training Center" (it's just called "stunt set"). The contents though are exactly the same. Note: you can view this blurry image I found of the original US packaging. 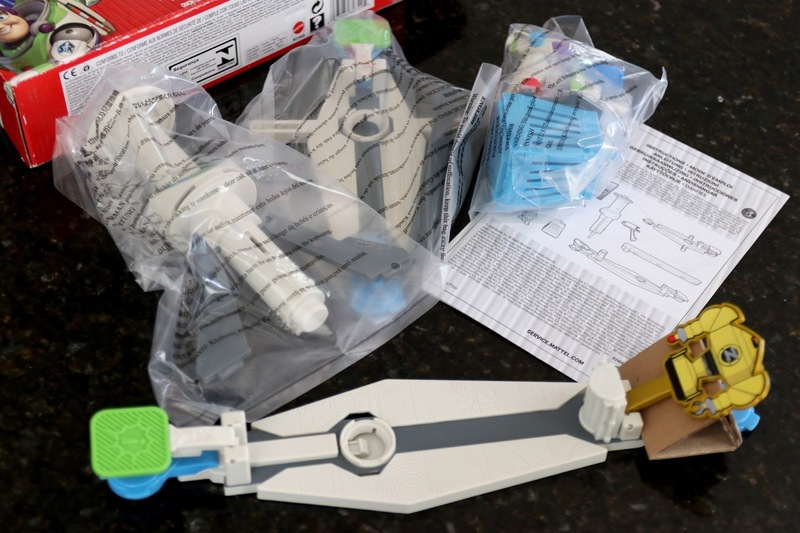 Below is everything out of the box! It took about five minutes to assemble. 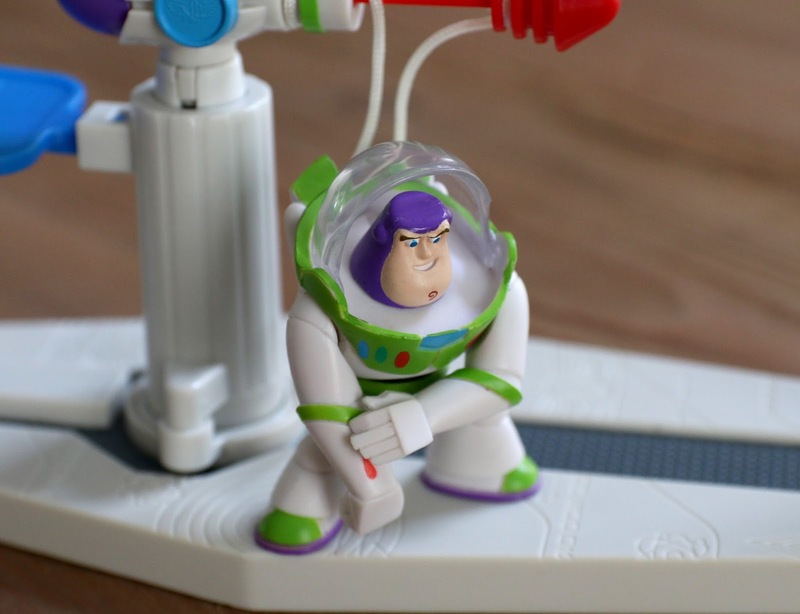 One standard Buzz Lightyear buddy figure is included (too bad it's not an exclusive design). I went ahead and casually set this up on my kitchen table to show you guys what it looks like all put together. Sorry it's not so much a fancy set up, but hey, it's real life. Press down on the green square button behind the launcher (if it's set up with the other playsets, something else will hit and trigger the action) to fire the projectile. 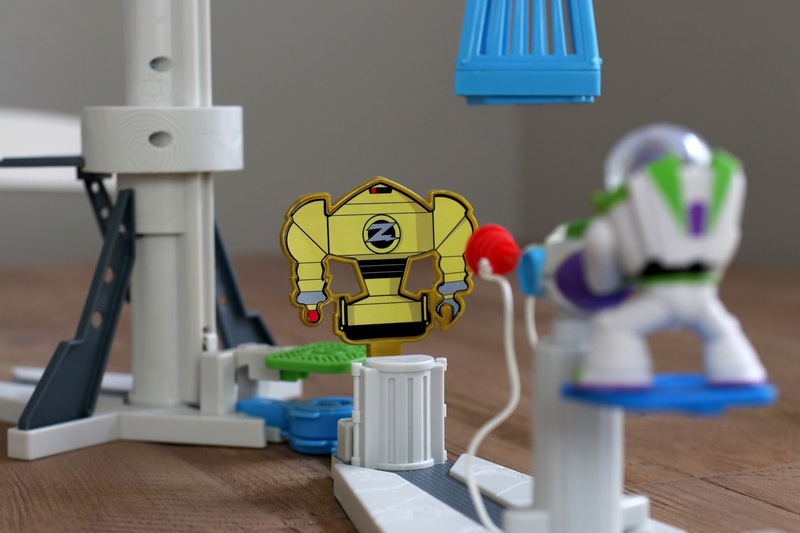 The "laser" will hit the Zurg [training] robot which will then fall down backwards onto the second green button and trigger the next action. 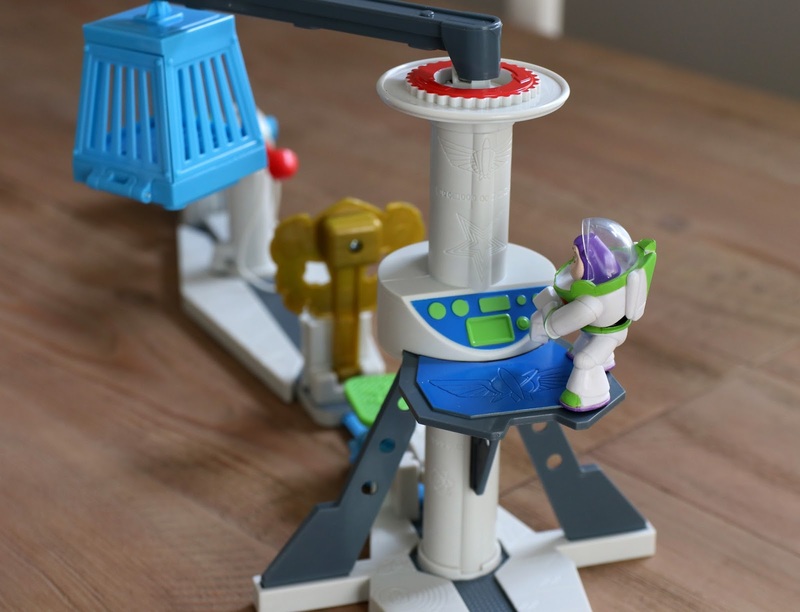 The blue cage atop the tower (a perfect spot to put an alien buddy figure, sold separately) will then rotate around twice and the cage will drop. The cage even has a button on the bottom so that it opens when it hits the surface, freeing the "prisoner." 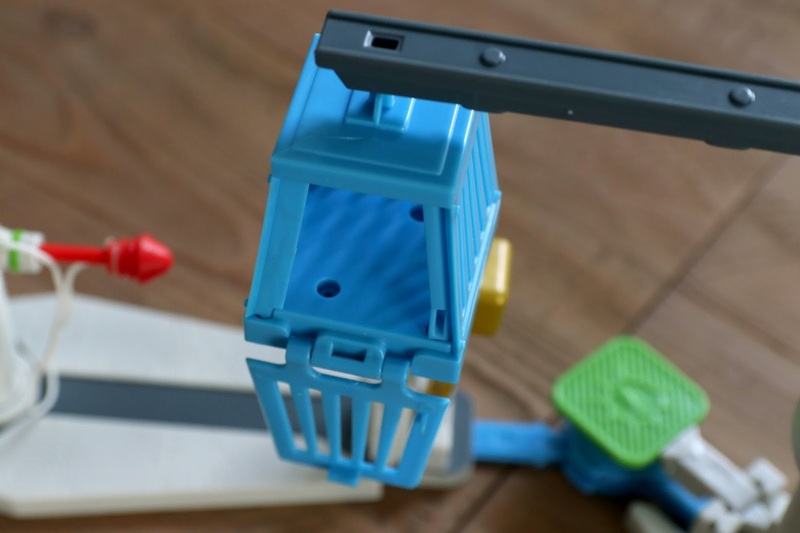 If you have another playset connected, the cage dropping will hit another green button sending the next set into action and so on and so forth. And this all happens within about seven seconds. Any of these playsets on their own are very short and anticlimactic I guess you could say, but add them all together and they become TONS of fun. See it in action yourself in my brief, simple demonstration video below (sorry I didn't have time to do a full YouTube review) and check out some of my detailed photos! If you're interested in tracking this down, keep checking THIS direct link to current eBay listings or give Amazon a try by using the link below.